Top bosses’ optimism about the global economy is at its highest level for six years, a survey suggests. Some 57% of chief executives say they expect growth to increase this year, almost double the number of last year, according to PwC. The consultancy said it was the strongest level of optimism since it started measuring the issue in 2012. PwC chairman Bob Moritz credited “booming” stock markets and positive growth forecasts in most major markets. 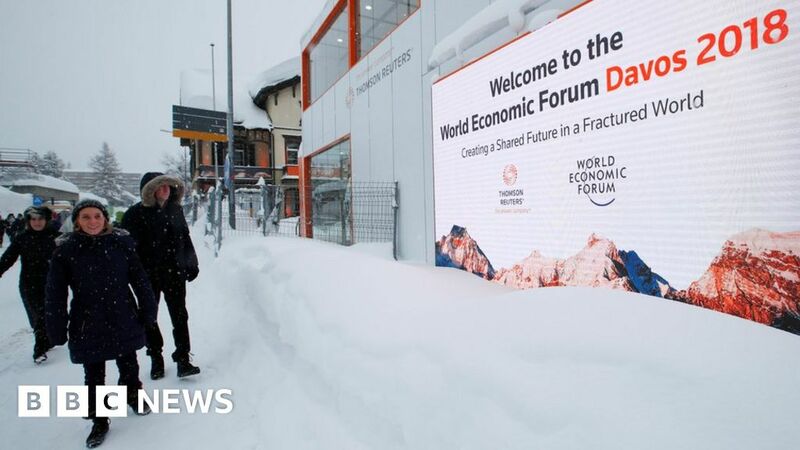 The survey, released on the eve of the annual World Economic Forum, held in the Swiss Alpine village of Davos, interviewed almost 1,300 chief executives in 85 countries. Most of the major markets around the world – including Japan, Asian emerging markets, the eurozone, the US and China – are currently expanding faster than expected, leading to a host of positive predictions from economic bodies. Earlier this month, the World Bank upgraded its growth prediction for this year, saying it expected the global economy to operate at its full potential for the first time since the financial crisis. The International Monetary Fund (IMF) and think tank the OECD have also predicted stronger growth for this year. The strong economic performances have helped drive stock markets around the world to a series of successive record highs. The strong economic outlook has fed into chief executives’ optimism about the prospects for their own company. Almost half (42%) said they were “very confident” their firm would expand over the next year. There were some variations by country. In the UK, for example, just over a third (34%) of bosses were “very confident”, lower than in 2017. PwC attributed the difference to continuing uncertainty over the outcome of the UK’s exit from the EU. But questions over the impact of Brexit do not appear to have deterred the UK’s popularity as a place to invest, with its attractiveness to foreign firms continuing. Overall, the UK is seen as the fourth most important country for growth, behind the US, China and Germany. Mr Moritz said the ranking reflected chief executives’ need for “safe harbours for investments”. “Access to consumers, skills, finance and a supportive regulatory environment are reinforcing leading markets’ positions, for business leaders to achieve their short-term growth targets,” he added.